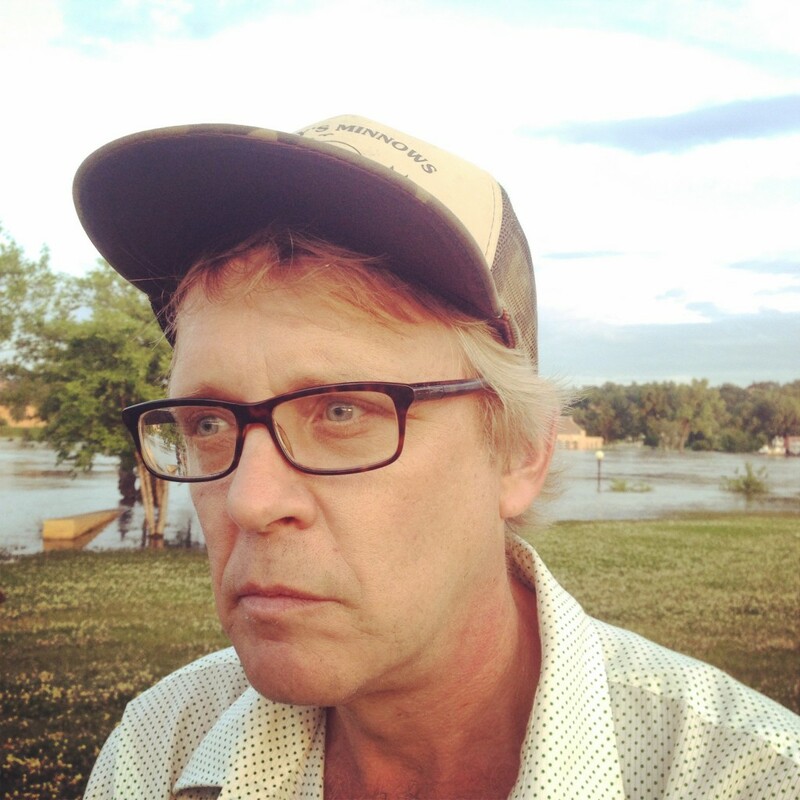 Mike Mosedale is a great fella I met in St. Paul at the River City Review a few weeks ago. Since then I’ve adopted him as a great friend. He’s generously dumped on us all kinds of sweetness — oars and cleats for the Dottie, an old fishing pole, beers, great stories. 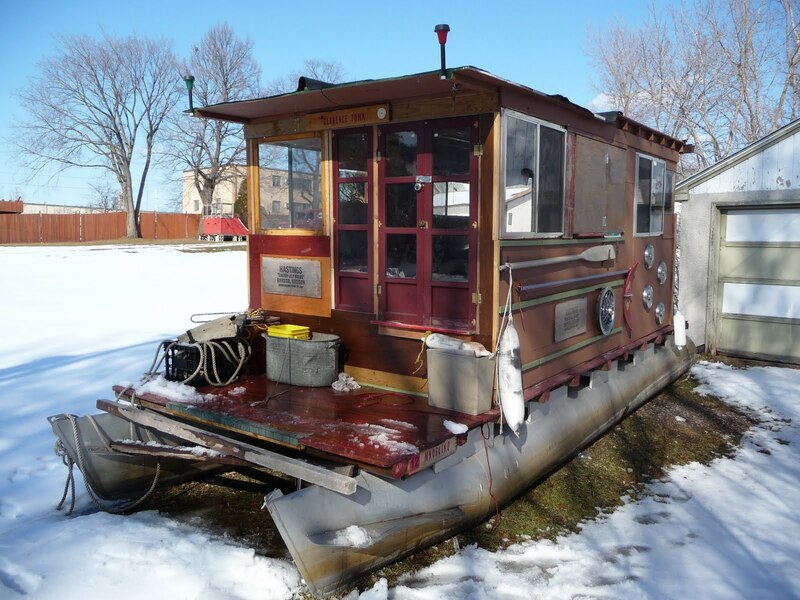 I wanted to share photos of his shantyboat, since retired. 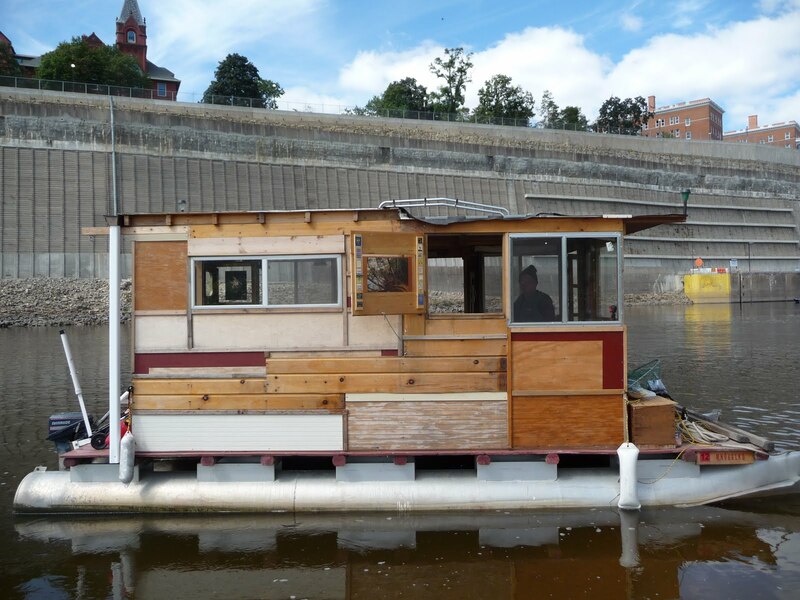 It is named after Clarence Jonk who wrote River Journey, Jonk’s memoir of traveling down the Mississippi in a huge houseboat as a poor college student in the 1930s. As you can see the Jonk shares an affinity with our shantyboat, Dottie.